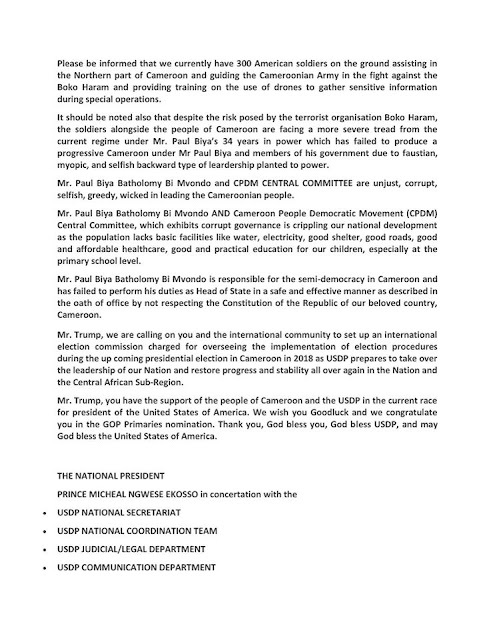 You are at:Home»Politics»Cameroon’s aspiring 2018 Presidential Candidate, Adresses Shocking letter to Donald Trump. Cameroon’s aspiring 2018 Presidential Candidate, Adresses Shocking letter to Donald Trump. 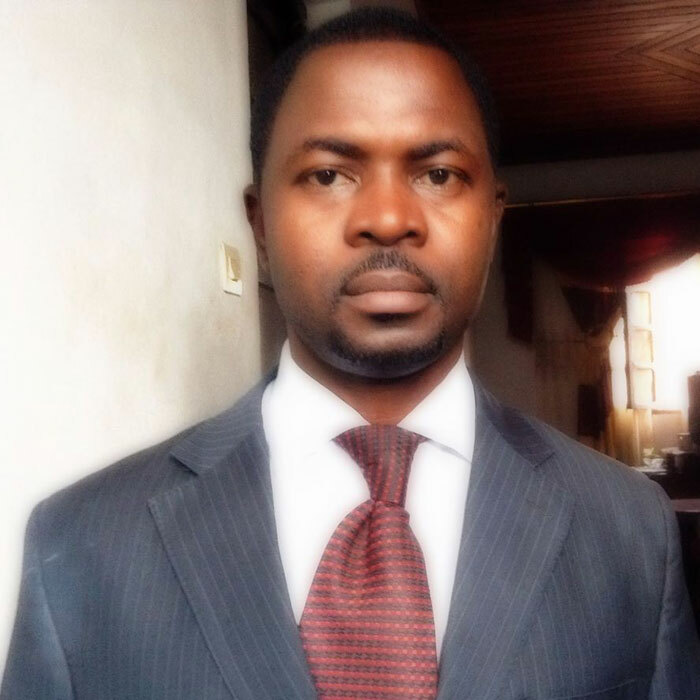 Cameroon’s aspiring 2018 presidential candidate, Prince M.N. 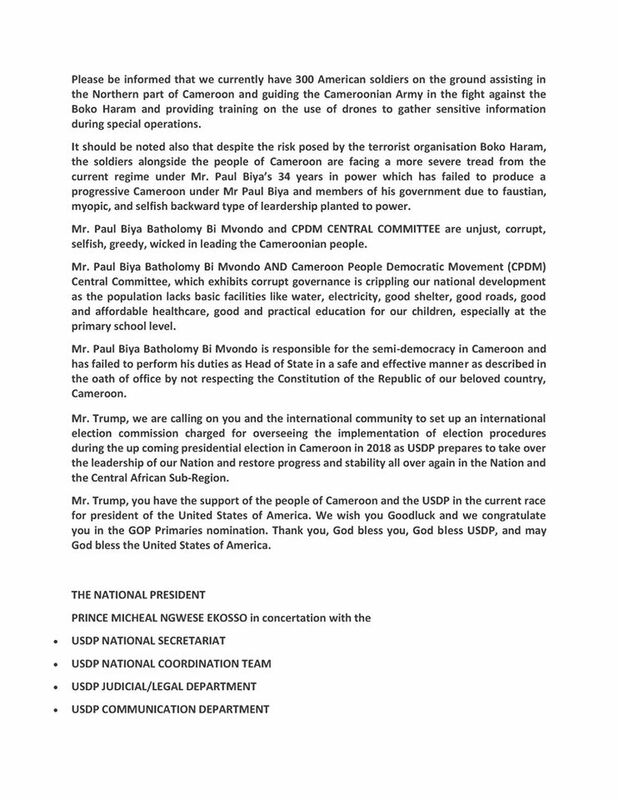 Ekosso , national president of the United Socialist Democratic party (USDP) of Cameroon has addressed a two page letter of plea to Donald. J. Trump and the international community to set up an international electoral commission that will be charged of overseeing the implementations of electoral procedures during the 2018 presidential elections in Cameroon. Ekosso’s letter has little that is new. However, its two pages are a remarkably comprehensive indictment of the Biya’s administration. In the letter’s last paragraph, Ekosso says that despite the risk posed by the terrorist organization Boko Haram, the soldiers alongside the people of Cameroon are facing a more severe tread from the current regime under Mr.Paul Biya’s 34 years in power which has failed to produce a progressive Cameroon due to myopic and selfishness backward type of leadership planted power. 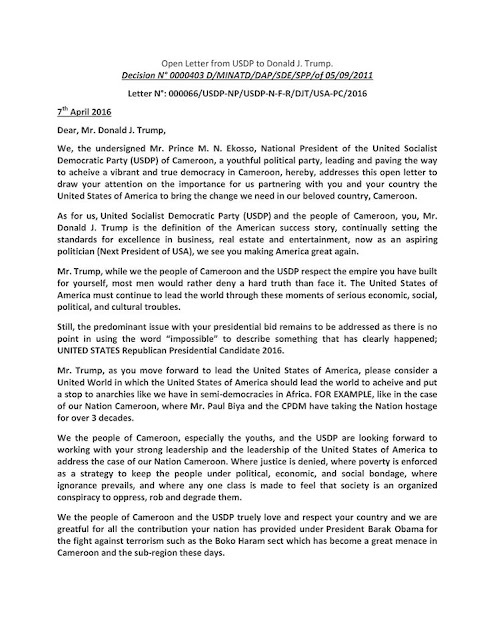 Some commentators are suggesting that Ekosso’s letter is a shocking political blunder by the United Socialist Democratic party (USDP) of Cameroon. Read details of his letter below. Previous ArticleClinton Njie Finally accepts a move to Marseille. Next Article Edgar Salli Signs for Nuremberg in Bundesliga2.